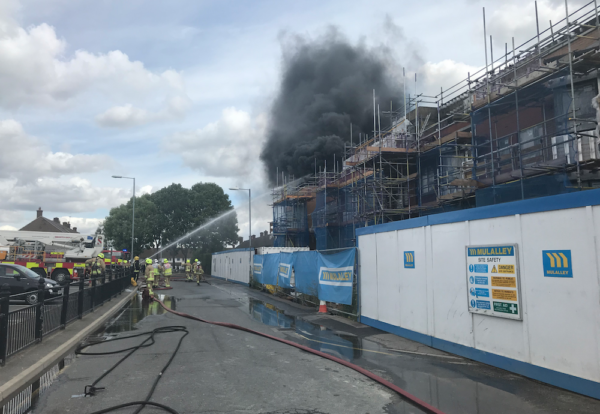 A residential scheme under construction in Loughton, Essex has been hit by a major fire. 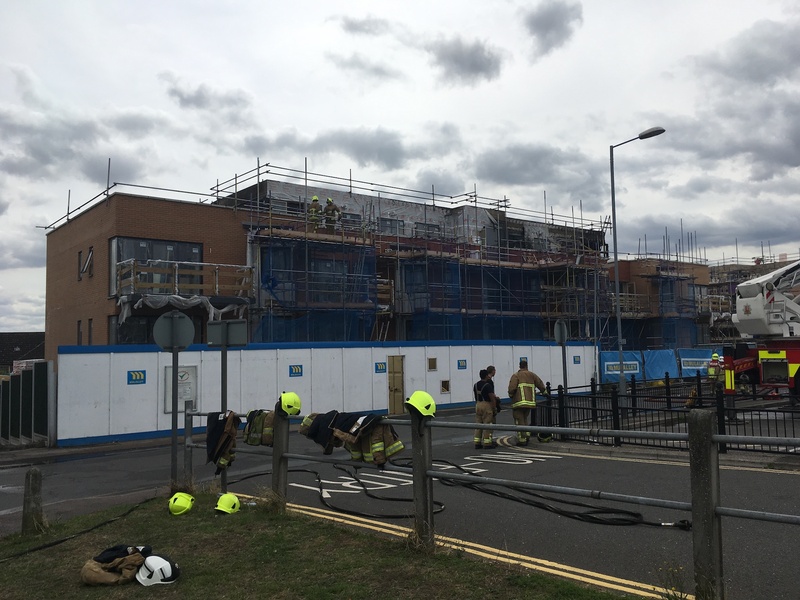 No injuries were reported following the blaze last Friday. Mulalley is main contractor on the £10m job for Epping Forest District Council to build 17 homes and 34 apartments. Council leader Chris Whitbread said: “This is a construction site and there are no tenants living here. ““The development is being built for us by Mulalley – a large construction company with a long and successful track record of building major projects. “It is too early to say what caused the fire but it is clearly large. Crew Manager Ryan Fernandes of Essex County Fire and Rescue Service said: “Work was being carried out by builders on the roof of the site and this where the fire started. “Initially we did not know if anyone was trapped, but soon confirmed that everyone had evacuated and began fighting the fire both from above and below.